TheContrarian Dear Daily8, I invested in LonBisc several months ago before the 1-for-4 bonus issue. I was impressed with it then because it has never posted a losing quarter for more than 15 years! I sold off all after the bonus was received at 59 or 59.5 sen ex-bonus price. After selling I came to learn that there has been some hanky-panky (to put it mildly) going on in the Company and when price kept dropping reflecting this, I didn't bother to buy back because there's no potential upside for such a troubled company. 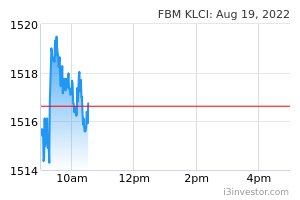 nckcm No need facts.. go read their report.. kelam kabut.. short term debt also 200m, how to pay ? Cash flow so weak somemore. Previously those thought “0.38” is the lowest then buy end up cut loss.. got better counters out there to earn than here . Daily8 nckcm, before you speak something like this, don't assumed that I am holding price higher than 38 cents. My price is much lower than 38 cents for FYI. Generally if the company doesn't have problem, will you be able to get at 345? The Board is pleased to report that there were no major internal control weaknesses identified during the financial year, after considering the system of risk management and internal controls described in this statement to be satisfactory and the risks to be at an acceptable level within the context of the Group’s business environment. There is also no significant breakdown or weaknesses in the current system for the financial year ended 30 September 2018. As the development of an efficient system of internal controls is an ongoing process, the Board and the Management will continue to take necessary measures to strengthen the risk management and internal controls environment and processes of the Group, in order to safeguard the interests of shareholders. During the financial year under review, there were no material losses caused by the failure in internal controls. the Recommended Practice Guide issued by the Malaysian Institute of Accountants. The Practice Guide does not require the External Auditors to consider whether the Statement covers all risks and controls, or to form an opinion on the adequacy and effectiveness of the risk management and internal controls system of the Group. of the internal controls system within the Group. This Statement is made in accordance with the resolution of the Board dated 24 January 2019. Daily8 To those who hold the price of EMA120, I feel sorry for you. U should sell it asap before the report was out on last quarter. If I was to hold at EMA 120 (please check yourself), then I am a fuking idiot. So please be advised as for now, I am not holding at that price. Daily8 Don't forget LBB products are exported to overseas as stated in their financial statement. Dollar is rising, ringgit is dropping, isn't it this is good news for the LBB? Their profit will grow due to weakening ringgit. Daily8 Don't look just on 1 side. There are few sides to a story. No doubt, the company gearing is high, they are some transition on their accounting and this can be fixed, they have re-evaluated their lands (2018), they have taken steps on their private placement, they are also paring down their debts and impairment on trade receivables been done. Give time to the company to do their work. Their Internal Auditors are smart. So, you guys trade at your own risk. nckcm The chart movement will tell its story. I will wait awhile for any indication .